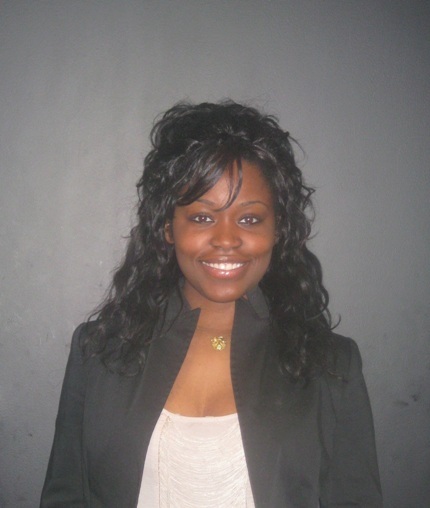 Ms. Tania Peterson Chandler began her career in the human services field shortly after graduating from John Jay College of Criminal Justice with a degree in Legal Studies. Guided by her desire to help those involved in the Criminal Justice System she began working for a not for profit agency as a Court Advocate for adolescents. Motivated by her continued passion to help, she continued her career at her current employer The Education & Assistance Corporation (EAC), a leading not-for-profit organization in the New York metropolitan area. EAC’s mission, to respond to human needs with programs that help empower individuals to take control of their lives was directly aligned with Ms. Peterson Chandler’s passion to help. Ms. Peterson Chandler started with EAC as a Court Liaison and soon rose through the ranks to her current position of Regional Director of Administration for EAC’s New York City Services. As Regional Director Ms. Peterson Chandler is responsible overseeing the operation of 20 Community Justice Programs throughout New York City and manages over 100 employees including Directors, Supervisors, Case Managers and Administrative staff. Since joining EAC in February of 1997, Ms. Peterson Chandler has initiated and enhanced a wide range of human service programs benefiting thousands of vulnerable families each year. These include EAC's Substance Abuse and Mental Health Alternative to Incarceration programs, HIV and Hepatitis C Prevention and Treatment programs, an Alcohol Education program, an Enhanced Employment Initiative and a Batterers Intervention Program to name a few. She has also coordinated the development of several federally-funded programs. While working fulltime at EAC, Ms Peterson Chandler earned her Masters Degree in Public Administration from John Jay College of Criminal Justice with a concentration in Criminal Justice Policy and Planning. 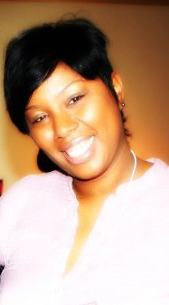 She continued her educational endeavors at Rutgers School of Law-Newark earning her Juris Doctorate. 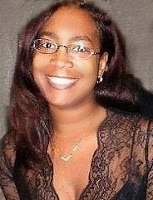 Ms. Peterson Chandler is a member of both the New Jersey and New York State bars. A media industry veteran and social entrepreneur, Tai has a rare and innate ability to connect with audiences across demographics. It was as a magazine editor that Ms. Beauchamp learned the profound power of media and how to use it to motivate and inspire millions around the world. Becoming a mentor and civic engagement taught her the most valuable lesson: "young women and the world-at-large want to be inspired and that inspiration can start out as materialistic for some but it undoubtedly originates through service and giving." Tai founded the BluePrint Group, LLC, a communications and marketing firm that specializes in bridging the gap between the world of fashion and philanthropy. Founded in 2006, clients and partners of the BluePrint Group have included Avon, Malaria No More, The Sundance Channel, The MCJ Amelior Foundation, Spelman College, Tractenberg & Co, and Universal Motown Records. The firm helps organizations build strategic marketing plans that teach consumers that giving, volunteering, advocating, and supporting one another is "stylish." Ms. Beauchamp began her career as a beauty and fashion editor at O, The Oprah Magazine in 2000, after interning at Good Housekeeping and Harper’s Bazaar. After two and a half successful years at O, she was recruited to serve as the beauty editor of what would become Suede Magazine. 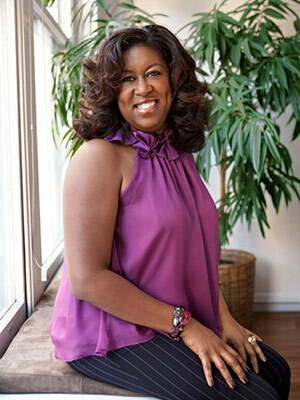 She then moved on to become the youngest and first African-American Beauty Director at Seventeen Magazine. Tai took a sabbatical from publishing and began consulting with a New Jersey-based grant-making foundation where she managed the organization’s education and youth development portfolio. As a consultant to the Foundation she collaborated with an urban public high school to start a mentoring and job-readiness training program for teenagers, R U Ready for Work, that today serves as an important program in the City of Newark and at Rutgers University. While working in philanthropy she continued to contribute to the fashion world as an expert and writer. In 2006, Tai returned to publishing as the Deputy Editor of VIBE Vixen Magazine where she successfully directed an editorial and creative re-launch at the publication targeted toward trendsetting urbanistas. She has also contributed to Ebony, Life & Style, Jones, and her blog Compacts & Vignettes on the ivillage.com style channel was a first-person peak into her boudoir. Passionate about youth and women, Tai volunteers as a mentor with Big Brothers and Big Sisters of Essex, Hudson, and Union counties in New Jersey. She also serves as on the board of trustees of the New Jersey Performance Arts Center’s (NJPAC) Women’s Association, on the advisory boards of Saint Vincent Academy and the Foundation for the Advancement of Women Now (FFAWN) and development committee of Women In Need, Inc (WIN). Her dynamic message has been heard around the world at Harvard Business School, Howard University, Rutgers University, Spelman College, in Nigeria, West Africa and throughout the United States. She has appeared as a style expert and personality on ABC, BET, CNN, NBC Today, TV One, and Soapnet and frequently contributes to the Wendy Williams Show, the STYLE Network, Inside Edition, Essence.com, and other networks. Recognized as a trailblazer in the fashion/beauty industry and philanthropy, she received the 2009 Thurgood Marshall College Fund Prestige Award and was featured in Essence’s 2009 Annual "Power Women" issue. Tai Beauchamp earned a Bachelors of Arts in English Literature from Atlanta’s Spelman College and attended New York University’s Television Production program. She lives in New Jersey with her Jack Russell terrier, Abdul. Who is Jacquelyn Aluotto? She's an actress, producer, director, filmmaker, event coordinator, human activist, volunteer, entrepreneur, daughter, sister, friend, fiancé, restaurant manager, and the list goes on. Born in New Jersey, Jacquelyn Aluotto has lived in both urban and suburban settings before finally settling down in Edgewater, New Jersey. From a young age Jacquelyn knew she wanted to be an actress so she worked hard and enrolled in the American Academy of Dramatic Arts where she studied theater. However the career path Jacquelyn envisioned didn't turn out, but went in an exciting different direction. After a chance meeting with her mentor Sandra Ramos, Jacquelyn began volunteering at her women's shelter and was struck by inspiration. Listening to the harrowing stories told by the battered women she asked herself what could she do to help them more. An idea formed, she was going to document the women's stories and what they had to go through by filming them in their natural setting in the shelter. Through film people would be able to understand exactly the hardships these women had to endure. That is when her groundbreaking documentary, "Not In My Backyard" was born. "Not In My Backyard" presents a firsthand view of the perilous lives of the victims of domestic violence. Never before have cameras been allowed in the guarded world of underground shelters. Never one to back down Jacquelyn dives right into her emotional topic, providing the viewing audience with never seen before footage. She tackles a very powerful yet hidden American social issue, abused and homeless women and children. Jacquelyn Aluotto set her mind to starting her own company wanting to make films she feels are important. It took discipline to save over $20,000 in quarters one day at a time. It was this money that initially funded her now growing film studio "Pick It Up Pictures." Now that's what you call entrepreneurial spirit. The name of her studio has a special meaning, it was born with the idea that every single one of us needs to be held accountable when it comes to making the world a better place. "I grew up poor, but my mom always taught us the idea of treating others the right way, and we were constantly performing random acts of kindnes,” says Alutto and she continues “My early years were not easy, and some would say I had a very rough life but I wouldn't change it for anything. It has made me who I am. I want to help change the world and make a difference.” That is why creating "Pick It Up Pictures", and making socially conscious films are so important. Professionalism, honesty and integrity have been a part of Miatta David’s motto since her early days as a financial reporter for media giant and The Wall Street Journal owner, Dow Jones. Although she was on the fast track in the world of financial journalism, Miatta couldn’t ignore her passion for the business of entertainment. After two years at Dow Jones and five years of reporting under her belt, Miatta left the security of a corporate position and didn’t look back. Today as president and CEO of MVD Inc, Miatta is quickly becoming a powerful force in the world of publicity and event production. Having founded MVD Inc in 2002, Miatta is building the company into what is regarded as one of the premier public relations and event planning firms in the business. Her multi-faceted experiences in strategic/tactical/creative marketing; public relations; events management have consistently exceeded expectations and built a loyal client base. Within five years, Miatta has already been instrumental in helping to brand some of the biggest names and events in music. Miatta, who takes a provocative and aggressive approach to publicity and events, takes pride in delivering strategic and unique campaigns for her clients. Her ability to place talent with premier brands is a gift she is becoming known for…an example, the paring of the Kanye West debut album with GQ Magazine. MVD has developed campaigns and event marketing strategies from record labels including Def Jam and Sony BMG Music to celebrities such as L.A. Reid, OutKast, Timbaland, Allen Iverson and Wyclef Jean. She has produced and designed several high profile events including Entertainment Weekly Annual Grammy Bash and GQ Magazine Pre MTV Video Music Awards events to name a few.